Toshiba has unveiled a whole new sort of electronic storage technology based bit-patterned media, which offers an unrivalled bit-density, and possibly, more reliable and faster reading/writing. 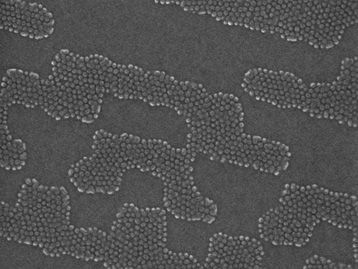 Bit-patterned media, as opposed to traditional disk drives, divides the magnetic recording surface into millions of uniform sections, each containing only a few magnetic grains, which measure 17nm metres in width, and can store one bit of data each. Data is arranged in to special patterns of rows with non-magnetic gaps between them, and sports mimic markers for quick read access. 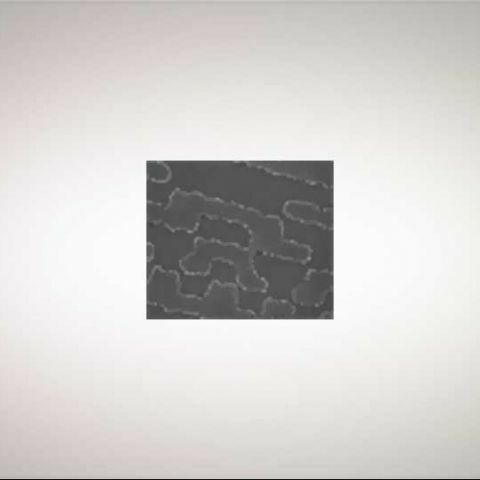 Toshiba says they can make such bit-patterned media at an even higher density, with each grain measuring just 10nm in width. Toshiba says that a practical server-type pattern would yield areal densities can equal 2.5 terabits of data per inch, which is nearly 5 times the highest capacity spinning disc drive today (541 gigabits of data per inch). That mind-numbing density would translate to about 25TB squeezed on one standard 3.5-inch drive. Theoretically, the areal density could be increased. According to Toshiba, the first drives are expected to hit the market only by 2013, though many industry experts wonder if it will be possible to manufacture it inexpensively even by then. Western Digital has apparently commented that this new bit-patterned media would not be mass-producible or become the next industry standard, as it would never be cost effective. Maybe they’re trying to protect their 2Tb data per inch single magnetic recording technology. Toshiba has also succeeded in having a recording head fly over and stay at a data track of the fabricated BPM. This is the first time anyone has demonstrated the servo-control operation of a recording head flying on a bit patterned media with self assembled dots. Further development of this technology will achieve fundamental HDD operation; writing and reading data to and from individual dots. With SanDisk’s iSSD and now this, you needn’t be worried where you’ll keep all your accumulated wealth of HD video and audio content - we can all be assured science is thinking of our future storage needs, whether in the form of single magnetic recording, solid state drives, bit-patterned media, or a wholly new technology.